As governments are upgrading their connectivity targets to full fibre and 5G is now a good time to invest in operators and networks? What are the key success factors steering funding towards fibre? Want to know more about new investment models and their impact on the fibre business? Attendees to the FTTH Conference in Amsterdam can hear about the latest trends and future frontiers of fibre investment on 13 March at the Keynote Investor Panel, featuring leading investors and CEOs such as: Pascal Rialland, CEO at Covage; Elisabetta Ripa, CEO at Open Fiber; Thomas Reynaud, CEO Illiad; Erzserbet Fitori, director general at FTTH Council Europe; Maurice Patrick, managing director at Barclays; and Jeroen Kleinjan, managing director, global lead telecom at ING. The conference’s signature event, the Fibration Night Party has also been announced and returns on 13 March, taking place at the Royal Tropical Institute. 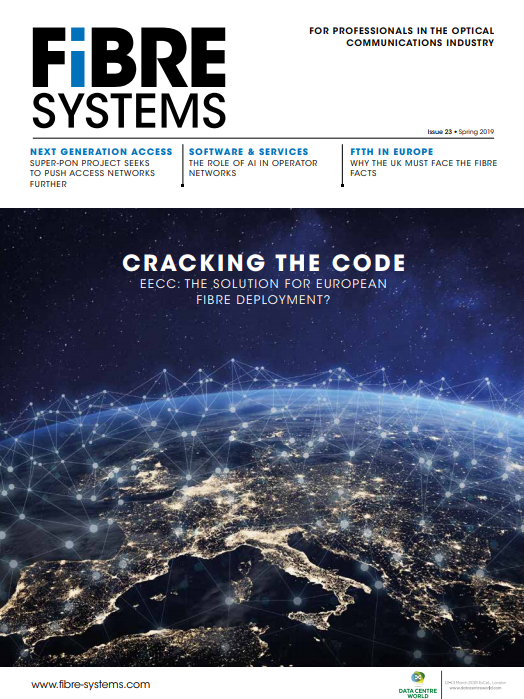 Readers of Fibre Systems can benefit from a discounted registration fee, simply visit the conference website, click Register Now and use the code AMS19P7.